New Delhi : Drug major Cipla said the government has approved an investment by Mauritius-based FIL Capital Investments in its subsidiary, Cipla Health Ltd.
“…It appears that the government has, based on the recommendations of the Foreign Investment Promotion Board, approved the proposed investment by FIL Capital Investments (Mauritius) II Ltd in Cipla Health Ltd, subsidiary of the company,” Cipla said in a BSE filing. The investment is still subject to other conditions precedent and the transfer of company’s consumer healthcare business to Cipla Health Ltd, it added. The government yesterday approved 10 foreign investment proposals involving an inflow of Rs 607 crore, including Cipla’s proposal of Rs 145.22 crore. 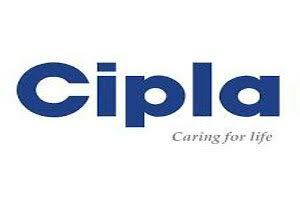 In November last year, Cipla said in a regulatory filing that Cipla Health Ltd and FIL Capital Investments (Mauritius) II Ltd have signed an investment agreement for its consumer healthcare business.